US Navy Adversary Squadrons or Aggressors as we known have drawn a lot of attention to Aviation enthusiast, photographers and Aviation modellers due to their distinct and unusual camoflage schemes that a lot of time are colorful over the regular grey color camo of most military jets. VFC-12 ( Fighting Omars ) call sign Ambush is base in NAS Oceana VA. 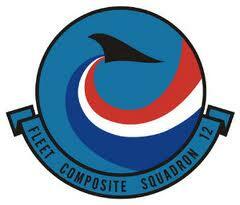 They are part of the Naval reserve Air Wing 20 which her sister Squadron VFC-13 is base in NAS Fallon. Both does Adversary role whereby the Omars uses the F-18A+ and F-18C to simulate Eastern Bloc MIG29, SU27 aircraft types while the VFC13 Saints predominately flies the F-5n which simulates the MIG-21. In 1994, VFC-12 replaced its A-4s with the F/A-18 Hornet. The F/A-18s are distinctly painted and modified to enhance its role as a realistic threat simulator. They went from the blue and Grey camo birds to the current Splinter as you can see in the pictures below. In 2004 VFC-12 received most of its current F/A-18A+ aircraft from VFA-203 Blue Dolphins which was decommissioned at NAS Atlanta, Georgia. The F/A-18A+ designations is used for F/A-18A Hornets featuring upgraded mission avionics compatible with the F/A-18C variants. Here are some of the earlier circa 2008/2010 era of the Omars Jets. Air-crafts are mixed of F-18C and F-18A having a 3 tone grey camo and the distinct multi tone Blue Camouflage. I was fortunate to have caught them in NAS Ft worth where they appear several times in the Airshow. This is a tribute to the men and women serving in VFC-12 Fighting Omars. The latest Splinter Fighting Omars Walkarounds.